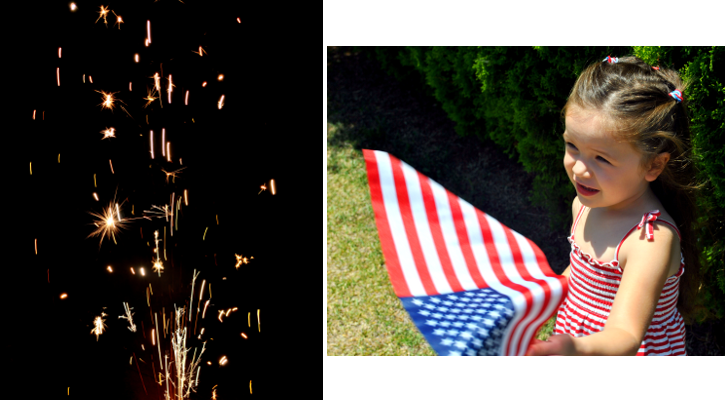 July 4th was a very lovely day. 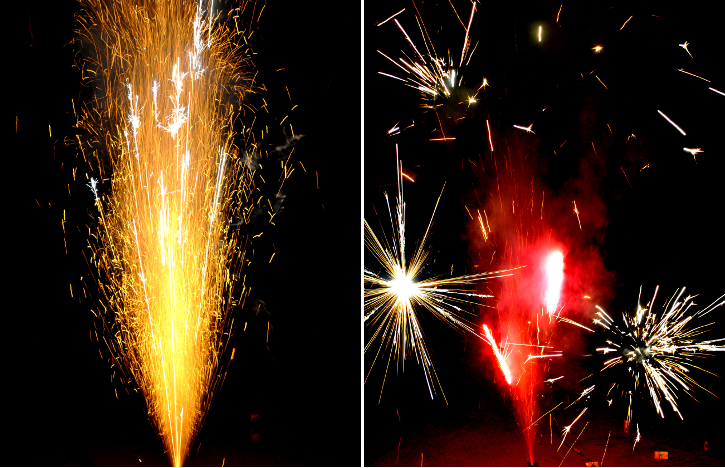 We started celebrating the day before as we did some of our own fireworks at home. Nothing too crazy, since the good stuff is...well...illegal. On 4th of July we spent the day at my Aunt's house for a BBQ with my entire family (well, a lot of them anyway). She has a house on Mission Viejo lake and the view from her backyard is absolutely breathtaking. As at most of our family gatherings, there was enough food to feed a small country - all of it homemade and wonderful. 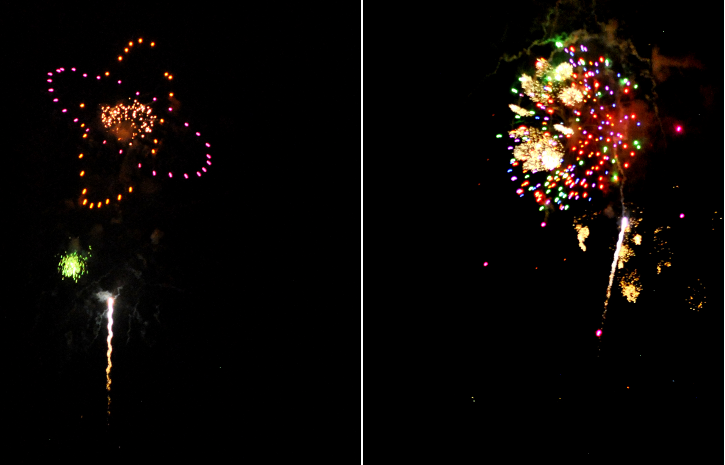 They had a street fair less than a mile away and the fireworks show was done at the park next to the lake. The kiddos spent most of the day in the pool, even as the sun began to set and we all took our seats with our plates full of desserts to get ready for the fireworks. 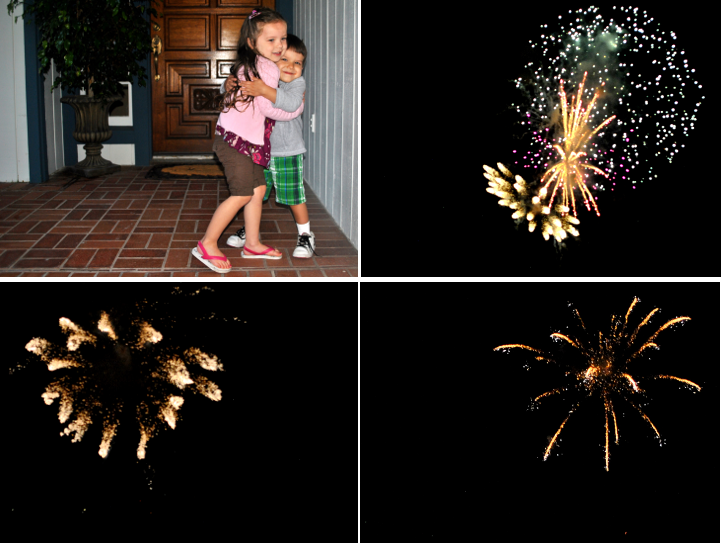 As the fireworks began, I was not at all pleased with the way the photos were turning out. They were looking blurry and the colors were completely off. So I decided to shoot completely on 'Manual' mode. This was my first time shooting strictly manually, and I knew it would be a big risk. After getting the photos onto my laptop, I noticed that some of the photos were still pretty blurry but they looked a lot better than before. 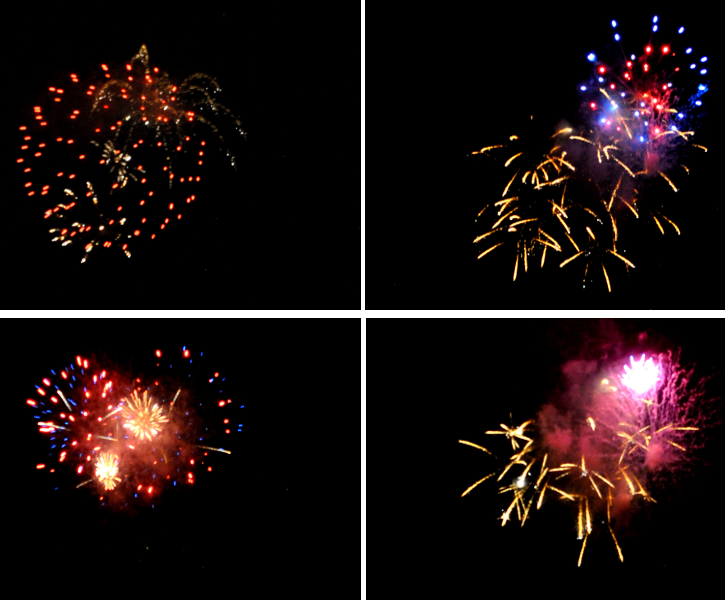 The shots of the fireworks we did at home were great. I was very pleased with them and was actually pretty excited about how artistic they turned out. I'm still working on trying to shoot completely in manual mode, but it looks like I have quite a bit of studying to do. 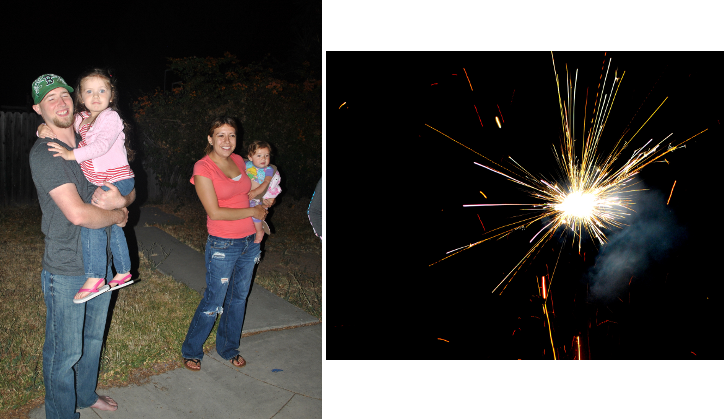 Especially if I want to take spectacular shots of next year's fireworks. Maybe by then I'll also have a new lens to help me with that goal. A girl can dream. 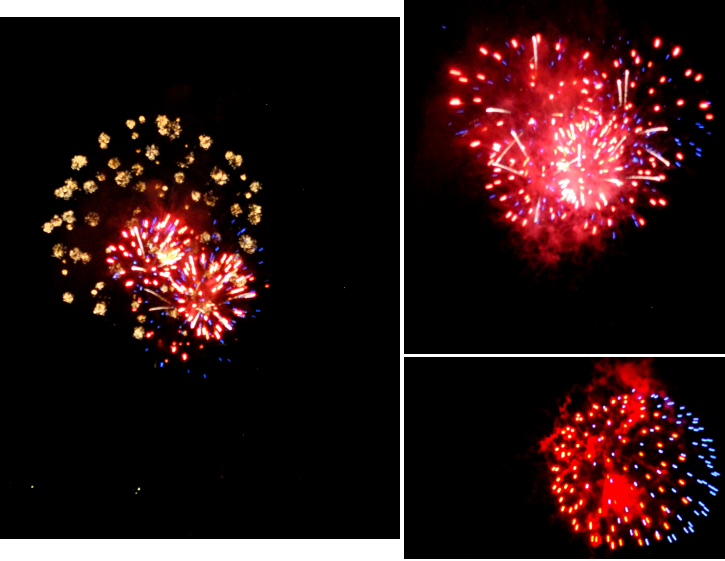 Hope all of you had a wonderful 4th of July! Practicing going under water - or in Punkin's words - going "under the sea"
What an awesome view!! The pics came out great. What type of camera do you have? I'm in the market & can't decide what I want to get.